Bajaj has official launched the dual-tone colour range of Bajaj Pulsar across the range on 150, 180 and 220 CC models. The new range of Bajaj Pulsar dual tone colours is now available across all models and is available in Pearl Metallic White, Sapphire Blue and Cocktail Wine Red. Good news for buyers is that there is no price hike announced because of these new colour tones. In past we have seen Bajaj has launched the 200 NS and 220 with dual tone colour tones. Also at the 2014 Auto Expo in Feb 2014, Bajaj also revealed Pulsar 200 NS, 400 SS and 400 CS which will be launched in coming years. 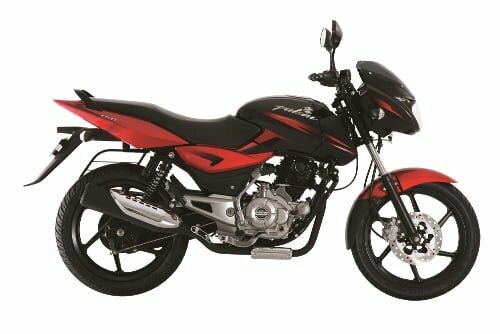 Bajaj is working on refreshed new models of Pulsar which are likely to be launched either in late 2014 or early 2015. These new colour tones maybe a way to boost sales before the new models come out. The enthusiasts and potential buyers of Bajaj Pulsar are also aware of the new models which are expected, which is why some of them have put their purchase decision on hold. What is new in Bajaj Pulsar dual tone colours models (150, 180 and 220)? Mechanically there is nothing new in the Bajaj Pulsar dual tone motorcycles, these are just new graphics and paint jobs on them. However this refresh does make these motorcycles look more attractive and appealing. The graphics give them a more dynamic look event when the motorcycle is not in motion. The dual tone styling is followed all over the motorcycles right from the headlamp to the tail lamps.